The experience you need and quality you deserve. 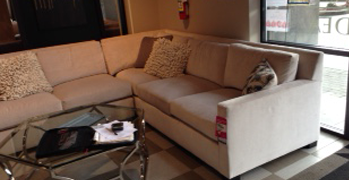 Consider Samrick Custom Upholstery for all your Custom Upholstery needs. A Large Selection of Marine Grade fabrics. 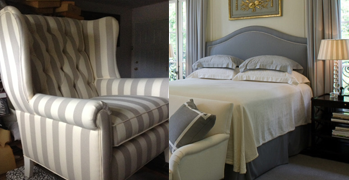 Upholstery with the right materials, colours and styles! With custom-made upholstery from Samrick Custom Upholstery, you can ensure your boat stays like new, whether you’ve got a recreational boat or yacht or a commercial vessel. 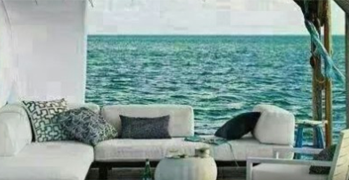 Whether you’re selecting fabric for your boat cover, seat cushions, sofa bed or nook, we can either reupholster your existing item or build it anew with our large selection of high-quality, marine-grade fabrics. If your boat’s upholstery is tired or outdated, we can breathe new life into it by giving it a more contemporary look and feel. 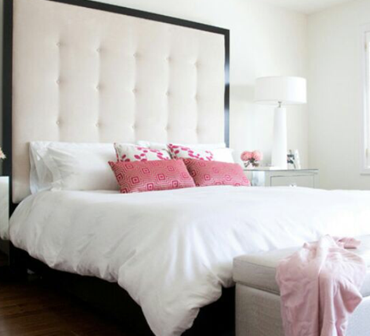 Working in conjunction with interior designers. 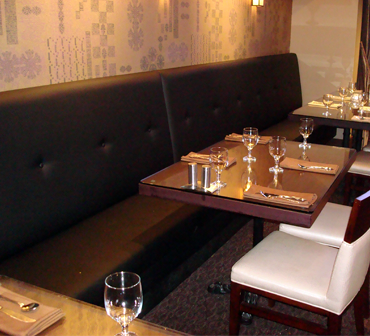 Comfortable booths with the right materials, colours. In my years of working with Jessie, I have always been given superior service and quality as attested to by all my happy clients! I have been dealing with jessie for more than 8 years and found him honest and hard working guy. 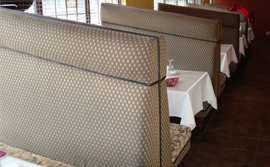 He understand all about custom upholstery jobs and can supply with in requested time frame. I would recommend him for your next dream project. I couldnt have been more pleased when working with Jessie Purewal and his team. They worked hard to meet my clent's deadlines, but never sacrificed quality. 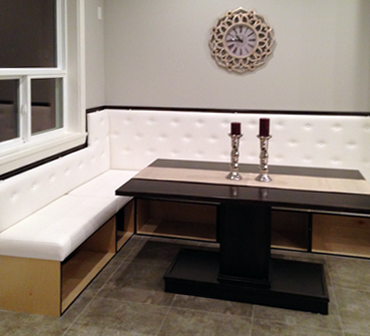 Proudly servicing Canada since November 2003, with 30 years of experience, Samrick Custom Upholstery specializes in the custom woodwork and upholstery for all kinds of furniture from restaurant booths to nooks, sofa beds and headboards found in motor homes and boats. 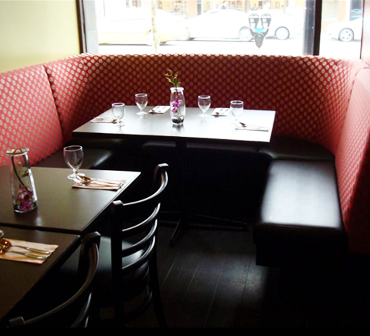 Specializing in custom woodwork and upholstery, Samrick Custom Upholstery’s quality craftsmanship is represented in booths and chairs in many popular restaurants across the Lower Mainland. Featuring an impressive selection of colour samples and fabrics to choose from, Samrick Custom Upholstery can reupholster or build you anything for your motor home upholstery needs.